We invite you to explore the full range of potential that awaits you at Madrona MindBody Institute. We are here to engage your vision. This is an excellent venue for any group that is visiting Fort Worden, Port Townsend or Madrona and would like to schedule a session for their group to partake in a movement program that is outside of our regularly scheduled classes. For group sizes of 18 or less you will have a dedicated teacher assist you. For group sizes larger than 18, we will schedule a teacher plus an assistant or two teachers depending on group size and ability. 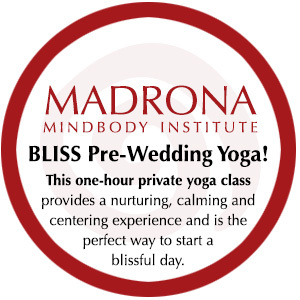 Madrona will work with you or your group to create a personalized practice that meets your individual needs. A private class is beneficial to those who seek balance of the mind, body and spirit through personal guidance, to deepen your practice and knowledge of any of the movement modalities we offer at Madrona. 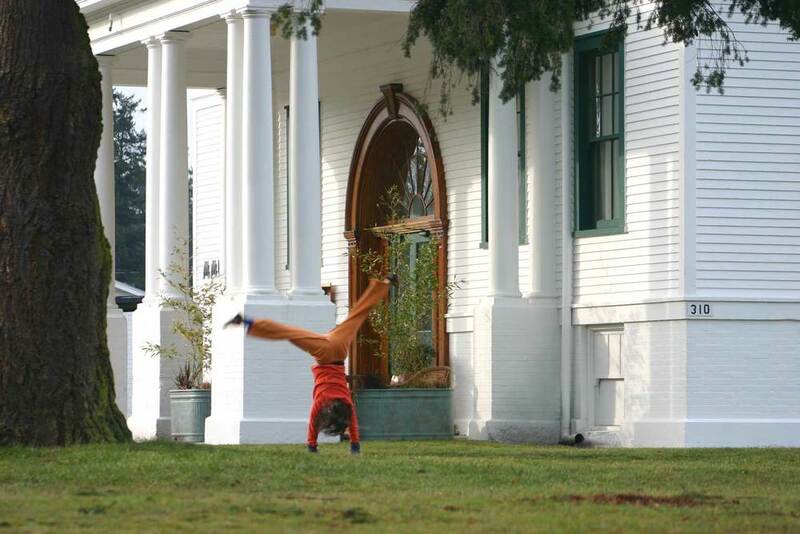 Are you having a wedding at Fort Worden and would like to have a special yoga class to start your day together? We offer a class designed just for you. BLISS Pre-Wedding Yoga Class for wedding party and/or guests is the perfect way to start a blissful day. This one-hour class is suitable for all, including those who have never tried yoga. Incorporating gentle yoga poses and guided breathing exercises, woven with special readings for the special day, our BLISS Pre-Wedding Yoga Class provides a nurturing, calming and centering experience. You will stretch, smile, exhale, laugh and feel bathed in love! Add massages to your package at a special rate. 10% discount if you book 3 private sessions at a time. 60 minute individualized private group session (19 - 50 students) $190 for first 25 students plus an additional $4 for each student after. BLISS Pre-Wedding Package: 60 minute private group session (Yoga or Nia) specifically designed for your wedding party and guests. A great way to meet the needs of EveryBody. (5-20 students). $190 additional guests may be added at $4/person. Groups that would like to fit within one of Madrona’s regularly scheduled classes, yet want to receive a group discount may book at least 3 days in advance. Otherwise regular drop-in rate of $12 applies. Group pays for all individuals (together) at time of reservation. 5 -10 individuals ($9 per person). To book an event and talk about possibilities contact us.